N 51° 30' 40" and W -0° 0' 56"
Poplar in Greater London (England) is a city in United Kingdom a little east of London, the country's capital. Local time in Poplar is now 06:21 PM (Monday). The local timezone is named Europe / London with an UTC offset of one hour. We know of 8 airports in the vicinity of Poplar, of which 5 are larger airports. The closest airport in United Kingdom is London City Airport in a distance of 3 mi (or 5 km), East. Besides the airports, there are other travel options available (check left side). There are several Unesco world heritage sites nearby. The closest heritage site in United Kingdom is Tower of London in a distance of 4 mi (or 6 km), East. Also, if you like golfing, there are multiple options in driving distance. We found 4 points of interest in the vicinity of this place. If you need a place to sleep, we compiled a list of available hotels close to the map centre further down the page. Depending on your travel schedule, you might want to pay a visit to some of the following locations: Hackney, Catford, East Ham, City of London and Walthamstow. To further explore this place, just scroll down and browse the available info. Let's start with some photos from the area. 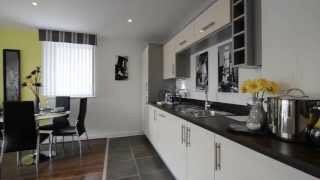 PANORAMIC IS A CONTEMPORARY DEVELOPMENT OF 1, 2 & 3 BEDROOM APARTMENTS AVAILABLE ON A SHARED OWNERSHIP BASIS People love Poplar. The streets are full of life. 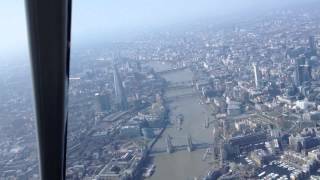 London Heliroutes- helicopter flying over the City of London- Canary Wharf, River Thames, Tower Bridge, the Shard, training pilots licence. London. 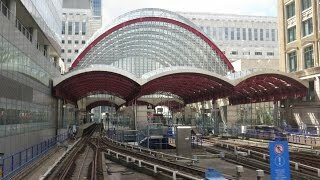 From The City, Bank Station, to Canary Wharf by DLR Train. 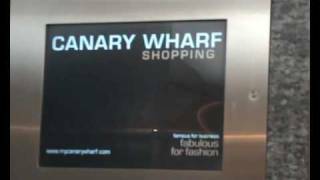 This is a tour of all the lifts at canary wharf shopping centres visit my website http://benobve.110mb.com. 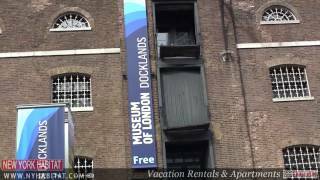 London Docklands is the semi-official name for an area in east and southeast London, England. It forms part of the boroughs of Southwark, Tower Hamlets, Lewisham, Newham and Greenwich. The docks were formerly part of the Port of London, at one time the world's largest port. They have now been redeveloped principally for commercial and residential use. Located at 51.505, -0.0180556 (Lat. / Lng. ), about 0 miles away. 8 Canada Square (also known as HSBC Group Head Office or HSBC Tower) is a skyscraper located at Canary Wharf in London Docklands, Borough of Tower Hamlets. The building serves as the global headquarters of the HSBC Group. The tower was designed by Sir Norman Foster's team of architects. 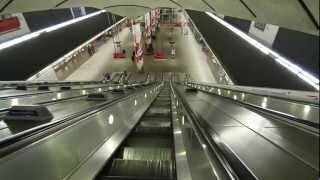 Construction began in 1999 and was completed in 2002. Located at 51.5053, -0.0173889 (Lat. / Lng. ), about 0 miles away. The Lansbury Estate is a public housing estate in the Poplar area of the London Borough of Tower Hamlets named after George Lansbury, a Poplar councillor and Labour party MP. It is one of the largest such estates in London. It occupies an area bounded by the East India Dock Road to the south, the Docklands Light Railway to the east and the Limehouse Cut to the north-west. Located at 51.5167, -0.0166667 (Lat. / Lng. ), about 0 miles away. Chrisp Street Market was designed by Frederick Gibberd, and built as part of the Festival of Britain in 1951. 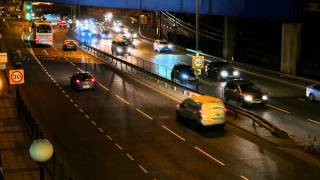 It is located in Poplar in the London Borough of Tower Hamlets, and forms part of the eastern edge of the Lansbury Estate. It was the first purpose-built pedestrian shopping area in the UK. It features a prominent clock tower, shops, small retail outlets, cafes, market stalls and apartments. Located at 51.5125, -0.0144 (Lat. / Lng. ), about 0 miles away. St Matthias Old Church is the modern name given to the Poplar Chapel built by the East India Company in 1654, in Poplar, one of the "Tower Hamlets" in the East End of London. Located at 51.5089, -0.0169444 (Lat. / Lng. ), about 0 miles away. Tower Hamlets College (THC) is a large further education college in Tower Hamlets, London, England. The college has four different campuses: the largest is on Poplar High Street, about 700m north of Canary Wharf; the others are at Arbour Square, Bethnal Green and the Financial Skills Academy on the East India Dock Road. Tower Hamlets Sixth Form College offers vocational and academic programmes, from entry level to AS/A2, to around 2,000 students. Located at 51.5086, -0.0166 (Lat. / Lng. ), about 0 miles away. 1 West India Quay is a skyscraper designed by HOK in the Docklands area of London which was completed in 2004. It is 111 metres (364 feet) tall and has 33 floors (not including roof). The bottom 12 floors house a Marriott Hotel, including 47 serviced suites on floors 9-12. Floors 13-33 house 158 apartments. The tower overlooks West India Docks and Canary Wharf. Located at 51.5069, -0.0213056 (Lat. / Lng. ), about 0 miles away. Canada Square is a public square at Canary Wharf, on the Isle of Dogs in London's Docklands. 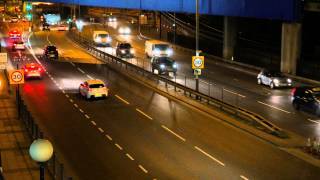 It is in the London Borough of Tower Hamlets in the eastern end of Central London along the River Thames. 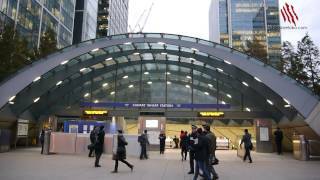 Canada Square is surrounded by three of the tallest buildings in the United Kingdom, including One Canada Square, which was the tallest building in the United Kingdom from 1990 until late 2010, when it was surpassed by the Shard London Bridge. Located at 51.5049, -0.019423 (Lat. / Lng. ), about 0 miles away. Bartlett Park is a public open space in Poplar in the London Borough of Tower Hamlets; its address is Upper North Street, London E14. It is located to the south of the Limehouse Cut waterway; the Lansbury Estate is to the south and east of the park. There is a proposal to build a neighbourhood centre in the park, and Leaside Regeneration Ltd have a feasibility study on the future of the park. St Saviour's Church remains in the centre of park, surrounded by a single row of self-build housing. Located at 51.5147, -0.0222222 (Lat. / Lng. ), about 0 miles away. SS Robin is a 300-tonne steam coaster, a class of steamship licensed only for passage in coastal waters, the oldest complete example in the world, situated at the Royal Docks in London, England for restoration and later display from 2013. SS Robin is one of three ships in London on the Core Collection of the National Historic Ships Register (the nautical equivalent of a Grade 1 Listed Building); the others are Cutty Sark and HMS Belfast. Located at 51.5069, -0.0219444 (Lat. / Lng. ), about 0 miles away. Robin Hood Gardens is a council housing complex in Poplar, London designed in the late 1960s by architects Alison and Peter Smithson and completed in 1972. It was intended as an example of the 'streets in the sky' concept: social housing characterised by broad aerial walkways in long concrete blocks, much like the Park Hill estate in Sheffield; it was both informed by, and a reaction against, Le Corbusier's Unité d'Habitation. The estate is owned by Tower Hamlets Council. Located at 51.5095, -0.00895833 (Lat. / Lng. ), about 0 miles away. All Saints' Church, Poplar is a church in Newby Place, Poplar, London Borough of Tower Hamlets, and is the Church of England parish church of Poplar. It was built in 1821-3 to serve the newly created parish. The church was designated a Grade II listed building on 19 July 1950. Located at 51.5097, -0.0122222 (Lat. / Lng. ), about 0 miles away. Poplar Baths in the East End of London is a derelict site today. In the past it was thriving. Not only did people come to swim, they also came to dance (covering the swimming pool with a temporary floor). Poplar Baths opened in 1852 to provide public wash facilities for the East End's poor as a result of the Baths and Washhouses Act 1846. It was rebuilt in 1933. East India Hall was often "floored over" and then used as "a theatre (capacity 1,400), dance hall, exhibition room and sports hall". Located at 51.5109, -0.0141 (Lat. / Lng. ), about 0 miles away. South Bromley railway station was a former railway station in Bromley-by-Bow, London, on the North London Railway between Bow and Poplar (East India Dock Road). It opened in 1884 but was closed in 1944 after bomb damage in the Blitz cut off the railway east of Dalston Junction. The station never re-opened and was completely demolished when the line was redeveloped as the Docklands Light Railway in the 1980s. Located at 51.5169, -0.0147 (Lat. / Lng. ), about 0 miles away. Poplar (East India Road) railway station was a railway station on the East India Dock Road in Poplar, London. It opened in 1850 and after 1865 was the southern passenger terminus of the North London Railway (NLR), although goods trains ran on to connect to the London and Blackwall Railway for the East India Docks or to the Millwall Extension Railway for the West India Docks. Located at 51.511, -0.0131 (Lat. / Lng. ), about 0 miles away. Millwall Junction railway station was a railway station in Poplar, London, on the London and Blackwall Railway. Despite the name, it wasn't actually in Millwall, but rather marked where the L&BR southern branch to Millwall and North Greenwich, which served the West India Docks left the main line. It was between West India Docks and Poplar on the main line, with South Dock the next stop on the Millwall branch. Located at 51.5073, -0.0128 (Lat. / Lng. ), about 0 miles away. 5 Canada Square is a 15-storey, 87.7 m office building in the Canary Wharf financial district development of London, England. Located at 51.5056, -0.018611 (Lat. / Lng. ), about 0 miles away. Now a Methodist chapel, the original Trinity Independent (Congregational) Chapel was designed in 1840-41 by William Hosking FSA, at Poplar, in the London Borough of Tower Hamlets, and built by John Jay. Located at 51.5114, -0.0188889 (Lat. / Lng. ), about 0 miles away. The Poplar Traincare Depot, also known as the Operations and Maintenance Centre (OMC), is the secondary depot for the Docklands Light Railway. It was the primary depot until Beckton DLR depot was built. Over half the fleet are stored and maintained here. It is situated to the North of Poplar station. The depot was extended to hold more trains, when three-car operation began in 2009. Located at 51.5078, -0.015 (Lat. / Lng. ), about 0 miles away. 20 Canada Square is a structure located in Canary Wharf. Currently, 20 Canada Square is home to offices of BP and the UK headquarters of American company McGraw-Hill. The building is divided into twelve floors, with BP and McGraw-Hill each occupying 6 floors. Located at 51.5039, -0.0166667 (Lat. / Lng. ), about 1 miles away. 25 North Colonnade is a commercial building in Canary Wharf, London and is occupied solely by the Financial Services Authority (FSA). It is 80 metres tall, with 15 floors. Built in 1991, its developer was the Canary Wharf Group, and its architect was Troughton McAslan. Located at 51.5058, -0.0201389 (Lat. / Lng. ), about 0 miles away. Langdon Park Secondary School, also known as Langdon Park Sports Community College, is a secondary school in the London Borough of Tower Hamlets, London, United Kingdom. It develops encouragement in the students learning. The school is now making a Sixth form. The dinners everyday cost £2. A famous rapper named Dizzee Rascal used to study at the school. Located at 51.5152, -0.0118 (Lat. / Lng. ), about 0 miles away. Marriott Hotel, West India Quay London is a luxury 5-star hotel in London, England. It is located at 22 Hertsmere Road, Canary Wharf overlooking the River Thames. It is operated by the Marriott Hotels group and has 301 rooms. The hotel is famous for being the location at which up to ten members of Tottenham Hotspur Football Club's first team squad were diagnosed with symptoms of food poisoning on the eve of their crucial final fixture of the 2005/2006 season against West Ham United. Located at 51.507, -0.02107 (Lat. / Lng. ), about 0 miles away. The Spratt's Complex in Poplar is an old pet food factory that has been converted into approximately 150 live/work units. It was one of the first warehouse conversions in London. 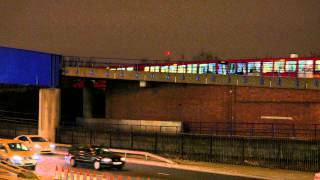 It is situated on Morris Road between the DLR stations of Langdon Park and Devons Road. The complex is called after the old Spratt's dog biscuit factory. Much of the original markings are visible on the buildings, with names painted on the DLR track-side walls, and on the small chimney visible from Morris Road. Located at 51.5185, -0.016034 (Lat. / Lng. ), about 1 miles away. The Church of St Michael and All Angels, Poplar, now known as St Michael's Court, is a 19th century brick-built church in the East End of London. Located at 51.5163, -0.0116 (Lat. / Lng. ), about 0 miles away. These districts belong to Poplar. These are districts that are close by, but belong to a different city than Poplar. These are some bigger and more relevant cities in the wider vivinity of Poplar.